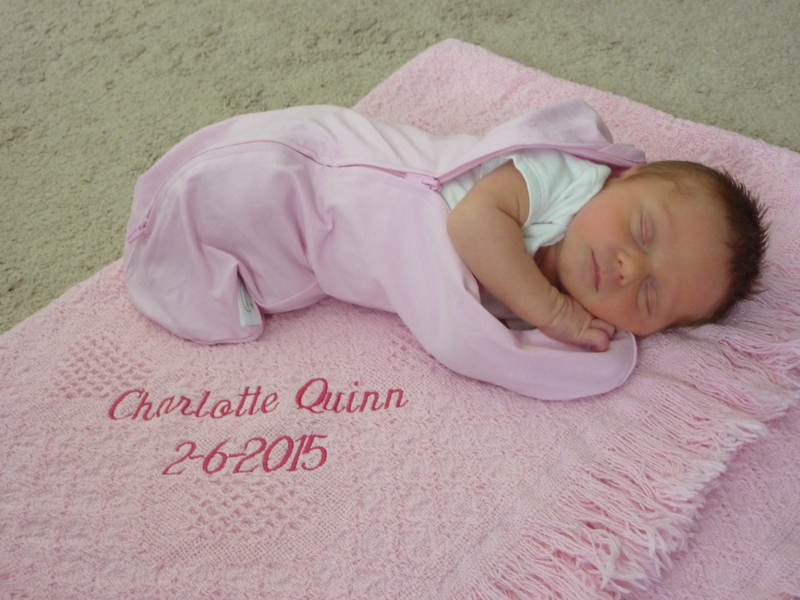 On Friday, February 6, 2015 after a 50+ hour induction, we welcomed Charlotte Quinn into the world at 7:38 am via c-section. 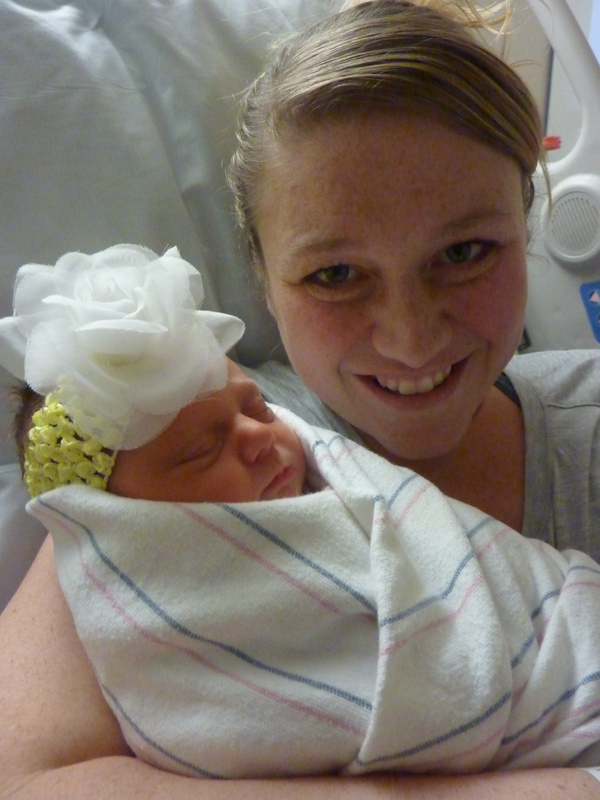 She weighed 6 pounds, 1.8 ounces, 21 1/2 inches long and had a head full of dark hair! Charlotte loves being held, being awake in the middle of the night, sucking her thumb (yes, already! 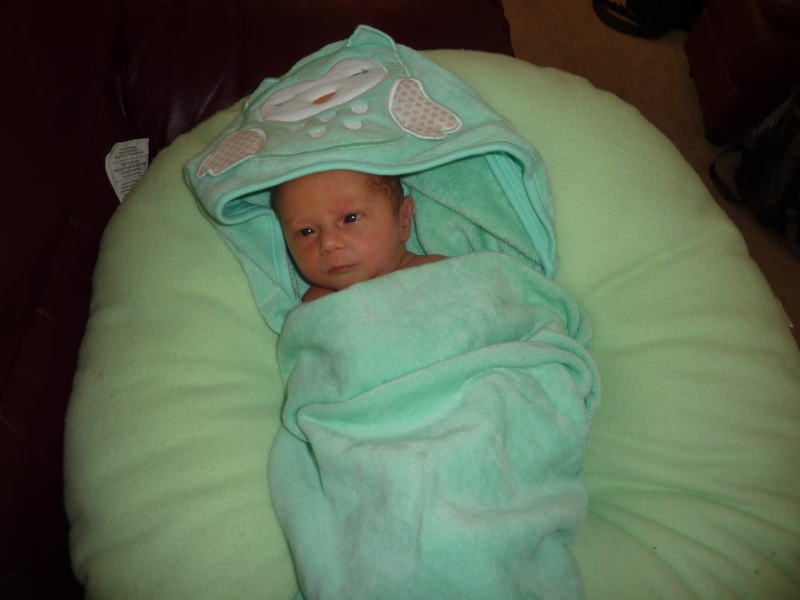 ), spending time with Grandma and Grandpa, riding in her car seat, eating, the Boppy lounger, escaping her swaddle (unless Daddy swaddles her because he’s the best – the pediatrician even said he’s better than she is!) and receiving so many fun packages and presents from friends near and far. 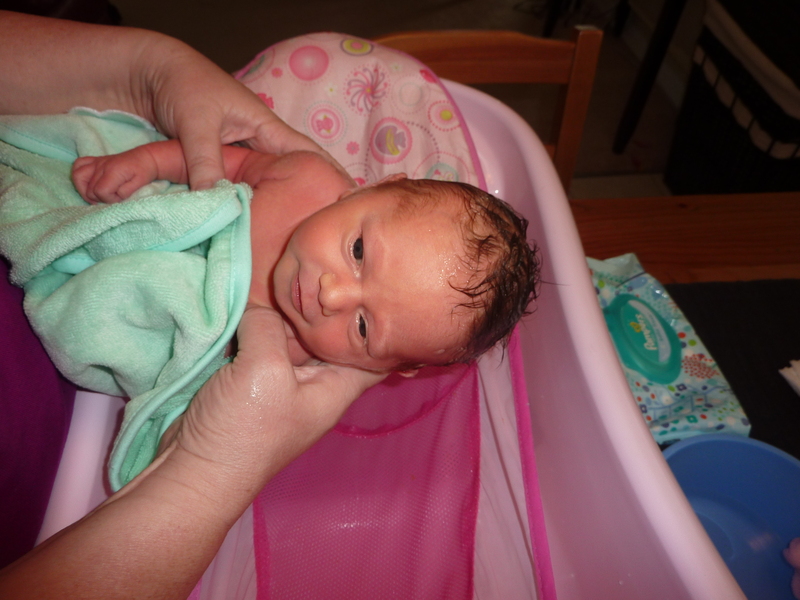 She hasn’t decided if she likes bath time yet – surprisingly the part she seemed to like most when when we washed her hair. 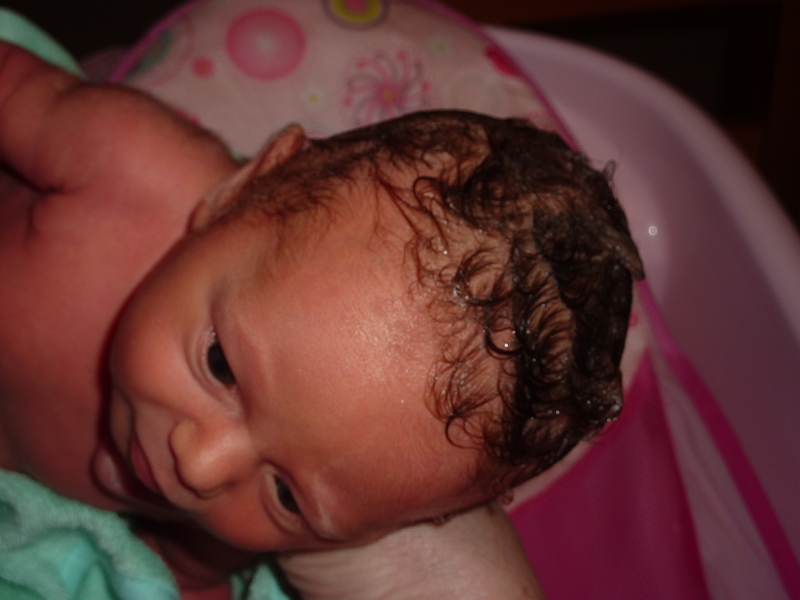 She probably gets that from Mommy who would happily go get a haircut just for the hair washing part! 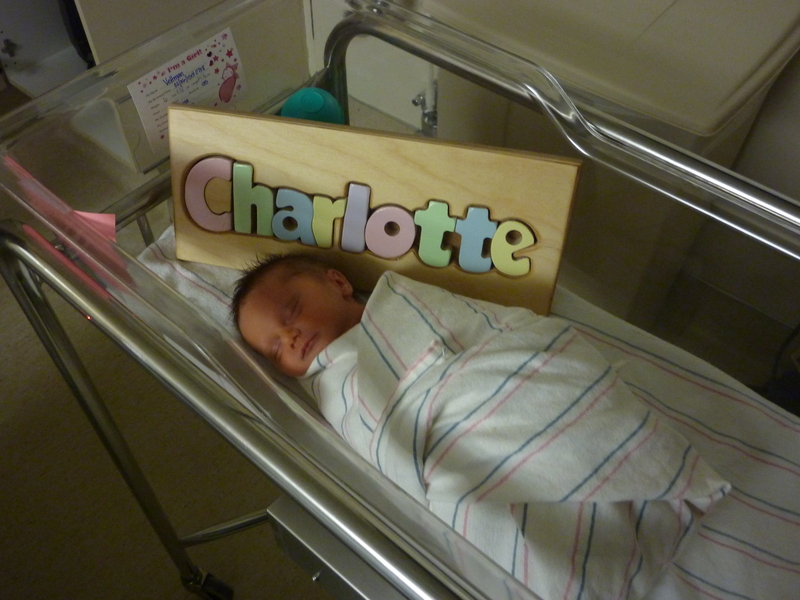 Charlotte had a great check up with the pediatrician. 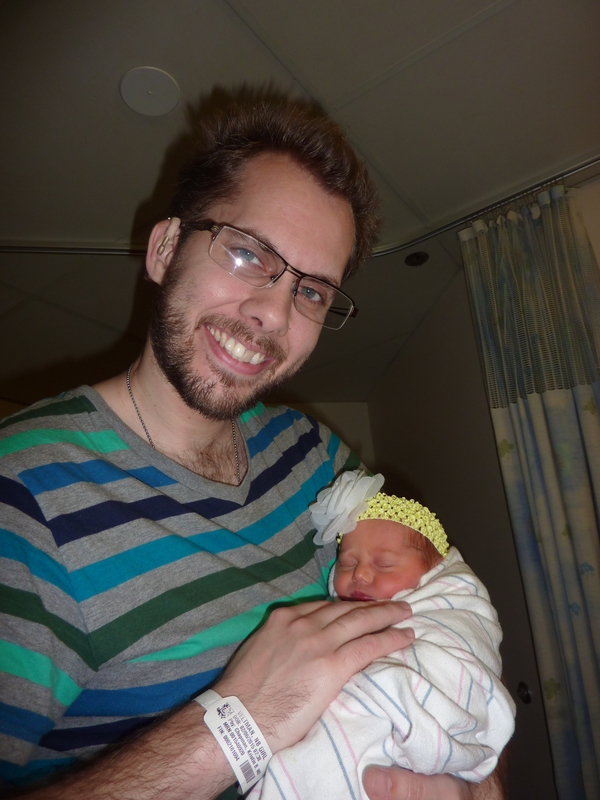 She’s weighing in at 6 lbs, 1 oz, just half an ounce under her birth weight. 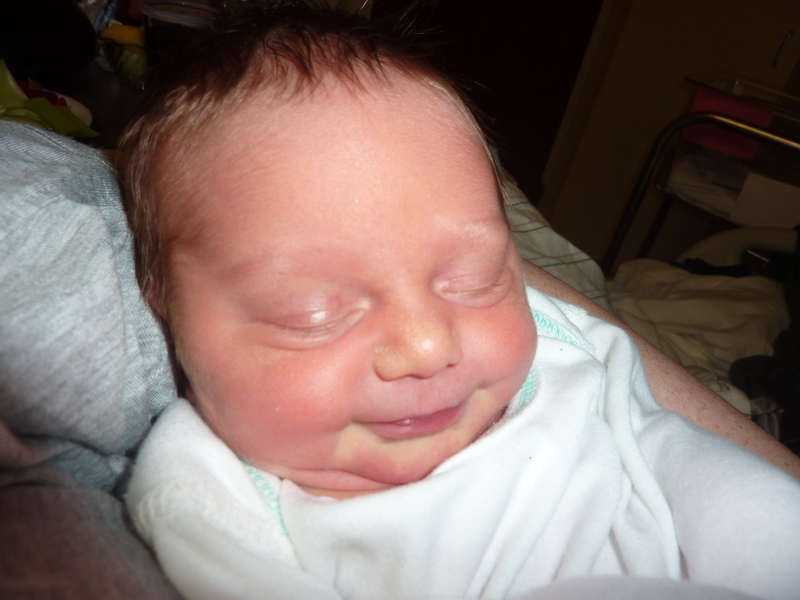 The doctor is happy with the progress she is making with eating and the slight jaundice she had in the hospital is going away! 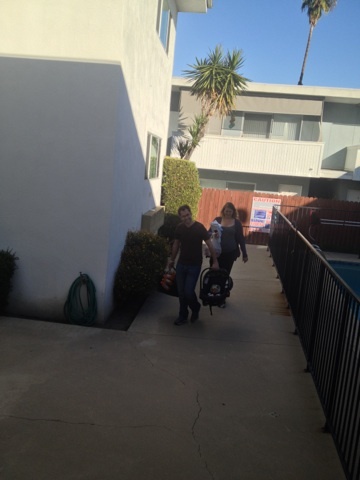 Mommy and Daddy are doing well. 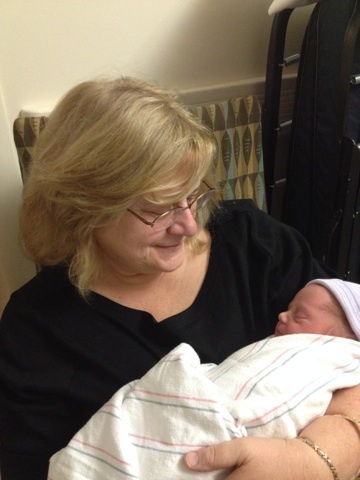 Mommy is recovering well from the c-section and has to be careful not to overdo it. She’s eager to get outside for longer walks and do more in general. Daddy is incredible as he’s doing an amazing job going above and beyond in Daddy duties, all while jumping back into school, work, grading, etc. He’s taking very good care of us. 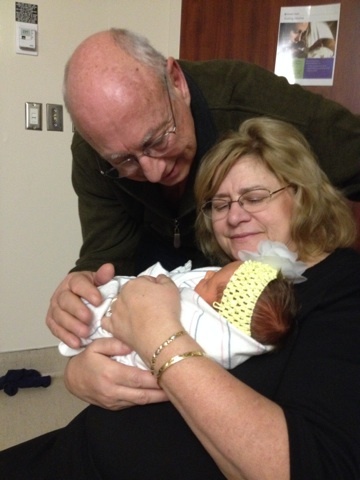 Grandma and Grandpa are also taking very good care of us and enjoy snuggling Charlotte, singing to her and loving on her. 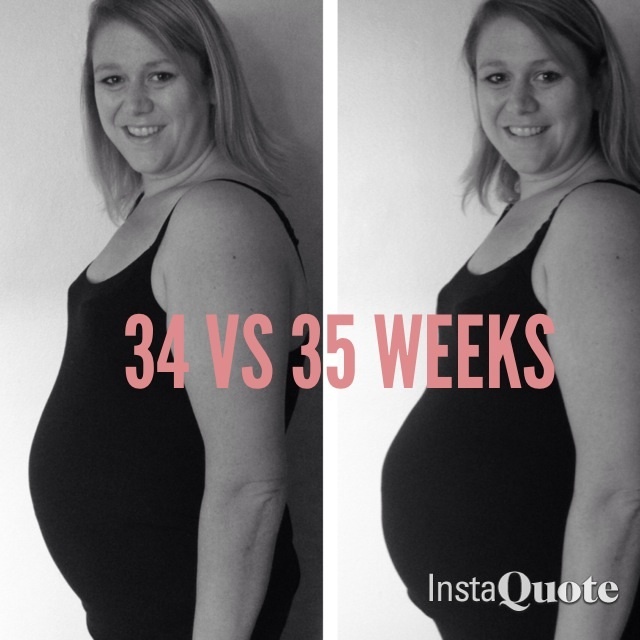 36 Weeks – Into the final month! 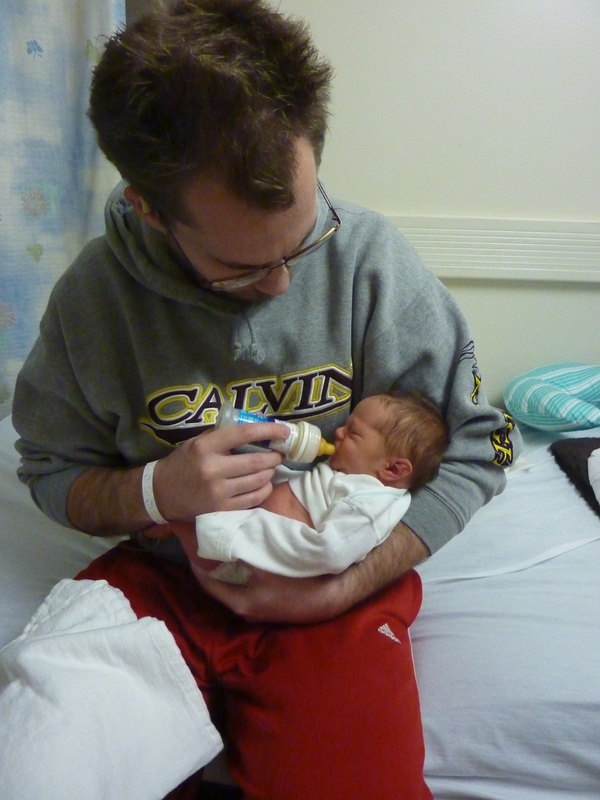 As of yesterday, I’m officially on maternity leave, per my doctor’s recommendation. Everything looks good at my doctor’s appointments and my blood pressure has even gone down a little this week which is really great news! Things are definitely getting real and we are so excited to meet our little girl! Rumor has it that the last month of pregnancy can feel like it lasts for years. I’ll be honest – I’m optimistic that it won’t be so bad – I guess we’ll see! Maternity clothes? Yes… And still miraculously fitting into some non-maternity clothes if they’re cut just right! Sleep: Sleeping while I can (based on the advice everyone keeps giving us!) and enjoying the occasional nap. Best moment this week: Lower blood pressure at the doctor! Confirmation that baby’s growth is right on track. Movement: Yep – particularly when we play music for her. She’s an especially big fan of the Hallelujah chorus. Anything making you queasy or sick: Not so much. Labor Signs: None at all. Wedding rings on or off? Sadly, off. They got a little snug and so I took them off. I can get them back on but they are just snug enough that I’m not sure it’s a good idea to keep them on. Total weight gain: More free clothes this week. Sleep: Ok. I think the Snuggie helps a lot. Best moment this week: I’m still intrigued by all the movement the baby is making. It’s so cool to watch and wonder what she is doing/thinking! Food cravings: Chocolate milk is here to stay. I can live with that. Anything making you queasy or sick: It’s still my job to take care of the trash. Have you started to show yet: Yes! It’s really pronounced now. Wedding rings on or off? Sadly, they had to come off this week. But better taking them off on her own then having to cut them off. I’d say 35 weeks and 5 to go, but I’m not so sure we have 5 to go! It’s looking like we might get to meet her a little earlier than expected due to my high blood pressure – but who knows. We’re just taking it one day at a time. 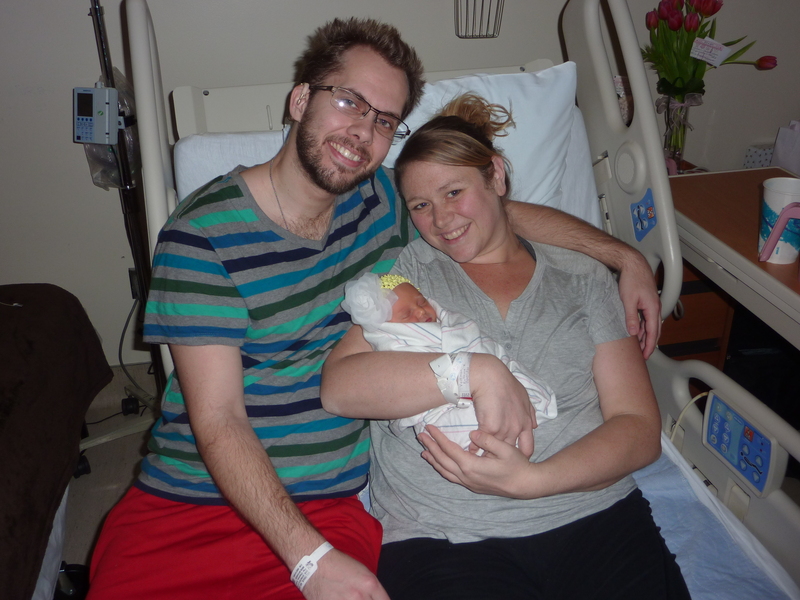 As of now, the baby looks great. She’s right on track in terms of growth and her heart rate is good. It’s hard to believe we’ll likely meet her within the next month! One more week of work until I’m on maternity leave. It’s so strange to think about having 3-4 months off work but I am very excited for focused baby time! Sleep: Particularly good if I take a bedtime bubble bath! Seriously – it’s amazing. Why did I not do this before?! 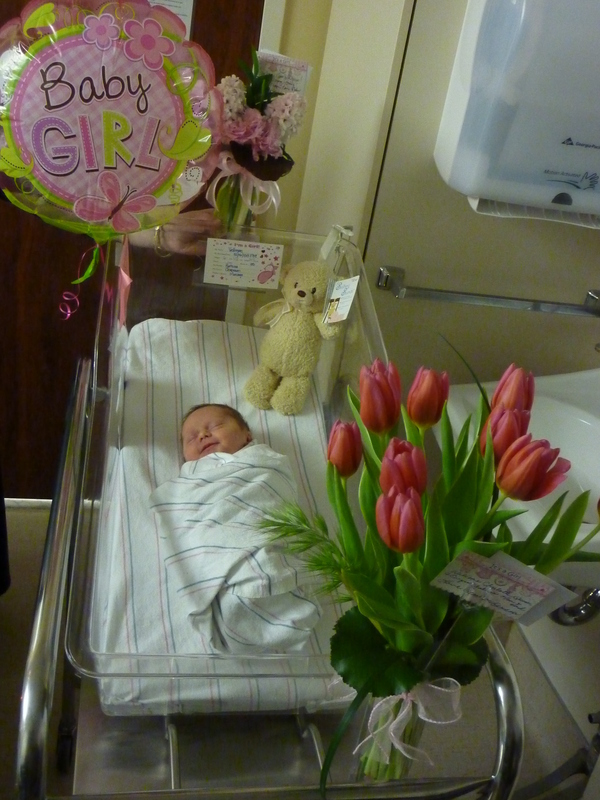 Best moment this week: Surprise packages and presents for baby girl in the mail! And the 3 day weekend (last weekend)! Miss Anything? I’m supposed to try and get a little more rest and I’m not very good at slowing down. I miss being able to do lots of active and productive things, particularly as I’m feeling very energized at the moment (nesting, perhaps?). Movement: Lots and lots of movement. She kicked both my doctors this week and she’s also found my right rib cage. Have you started to show yet: Yep. 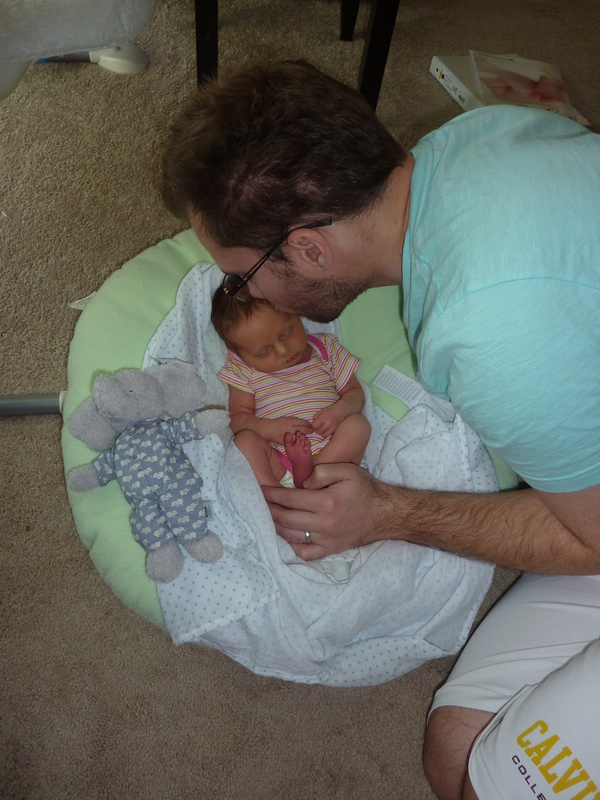 It’s amazing how at certain times during the day I look bigger or smaller depending on where the baby is sitting…laying…? She’s also moved from the right side to the middle which really made my belly pop (see photo below). Belly Button in or out? In. It’s not coming out, people. I’m sure of it. Wedding rings on or off? On – thankfully! Though my blood pressure is high, I fortunately don’t have any swelling which is a very good sign. Looking forward to: Meeting the baby, seeing what she looks like, learning who she is, my baby shower and much more! How far along? Almost there! 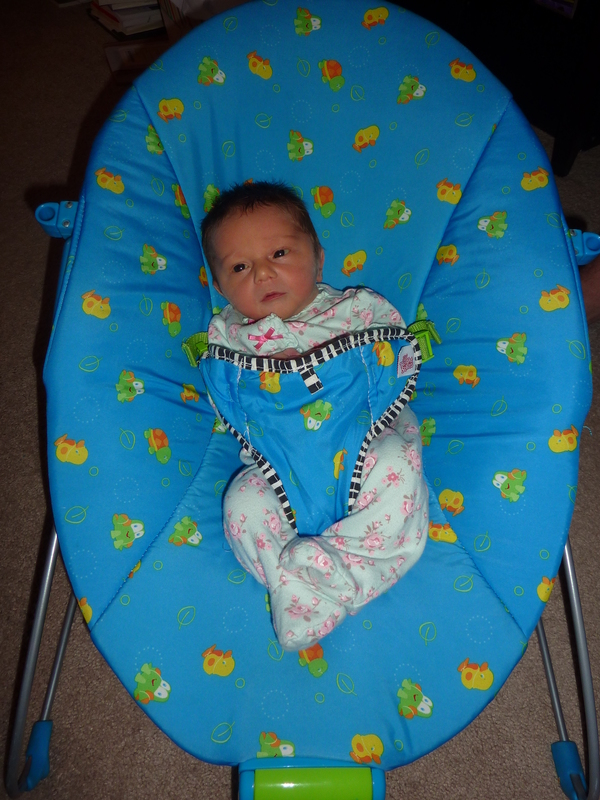 Total weight gain: We received a high-chair from extended family. 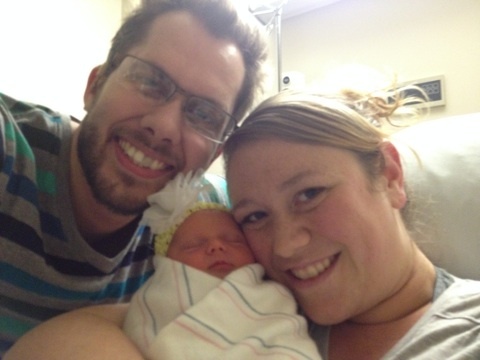 At this point our weight gain has sort of plateaued, but once the baby is born, well…. Sleep: So-so. I think a bedtime bath routine helps! Best moment this week: Watching her react to music we play. She either loves or hates country music, but she certainly loves Handel’s Messiah (I just know! ), which I’m good with. 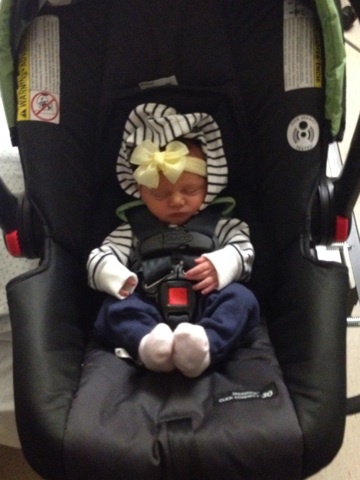 Also, installing the car seat made the excitement that much more real. Movement: Yes, lots of it, especially when we play music. Food cravings: It seems that cravings have kind of ended. Either that, or she’s fulfilling them without me know. If the past is any indicator, it’s probably the latter. Anything making you queasy or sick: Undercooked chicken. Don’t ask. Belly Button in or out? In. It’s not going to happen, sadly. Looking forward to: Finally meeting the baby! And just for the fun of comparing – here’s what’s happened to my belly in the past 7 days. Whoa. 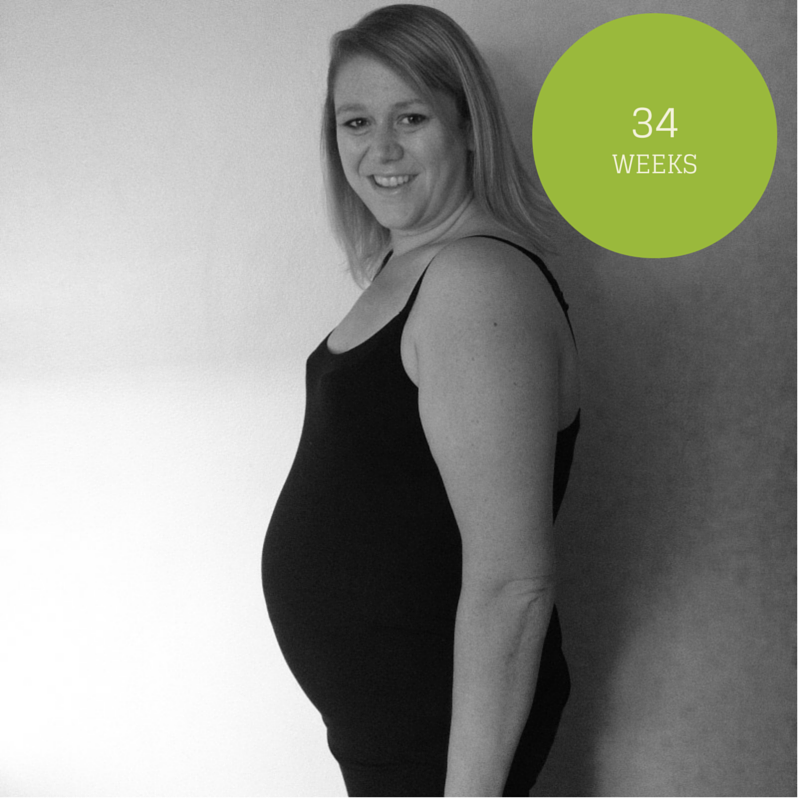 34 Weeks – Anticipation is building! Only 6 weeks to go! And you never know – she could come early! That’s precisely why I started packing my hospital bag today! Next on our agenda is installing the carseat! 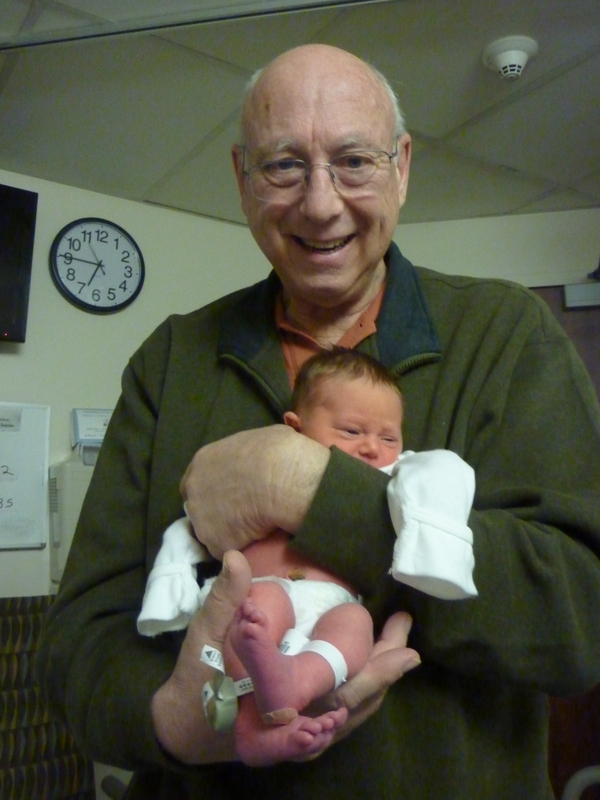 Overall I am feeling good – the doctors are monitoring my blood pressure carefully as it spiked this week – hopefully the medicine I am taking will keep baby and I both healthy and well. Total weight gain: Right around 10 pounds. Maternity clothes? Yep… I’m looking forward to wearing some of my regular clothes that don’t currently fit again. It will be like having new clothes! Though I might miss the maternity jeans… So. Comfy. Everyone should wear maternity jeans – it’s just how clothes should be made! Sleep: Overall pretty good this week. Miss Anything? Nah, I’m also grateful to report I’m feeling much more energetic again after the last couple of weeks of being so tired. Movement: More than ever before. She (visibly) moves around for longer and longer periods of time – strong enough movements you can capture them on video! We love to imagine what she’s doing in there. She’s a little feisty I think. I’m getting monitored 2x per week because my blood pressure is high and she likes to go sleep while they monitor her so we have to try and wake her up. It’s like she knows… Haha. On the other hand maybe it means we’ll have a good sleeper?! We also play this fun little game where we push on my belly and she kicks us back! Food cravings: Still drinking my fair share of chocolate milk… Baby will hopefully have strong bones – and perhaps a love for chocolate. Anything making you queasy or sick: Still feeling a little queasy on and off, but it’s not too bad. 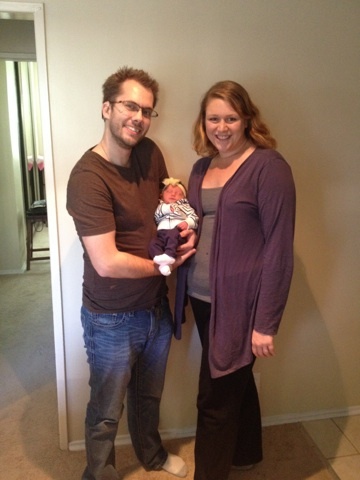 Have you started to show yet: Yes – in fact, someone guessed I was 8 1/2 months pregnant earlier this week. Hmph! 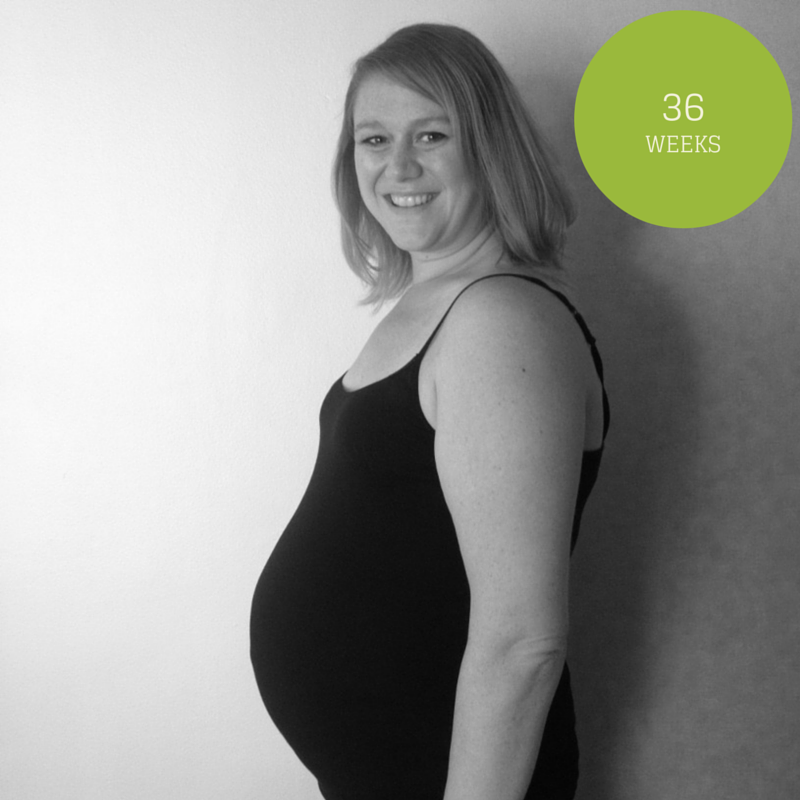 And I can only imagine what I will look like at 8 1/2 months pregnant – guess it’s not too much longer and we’ll see! Labor Signs: Thankfully no. Not yet. We’re not quite ready but hoping this 3 day weekend takes us much closer to being ready! Belly Button in or out? Still in and convinced it’s staying in for the remainder of the pregnancy. Looking forward to: Putting those cute baby clothes sitting in the closet on our little girl, holding her and kissing her, and hopefully having blood pressure back in the normal range once I’ve given birth. How far along? Further along… At this point I feel like we should be counting down. Total weight gain: We received a package from a friend which included some clothing. Other than that, the baby is just heavy. Sleep: I think it has been better this week. Miss Anything? Well, we haven’t run out of milk or chocolate syrup so not much to miss. Movement: Yes, lots of it! She is really active now. Food cravings: Still chocolate milk, and I’ve joined in the fun! Anything making you queasy or sick: All the pressure on her bladder? I know I would feel that way if something was constantly pushing on my stomach and bladder. Have you started to show yet: Oh yeah! And the movement is really visible too. 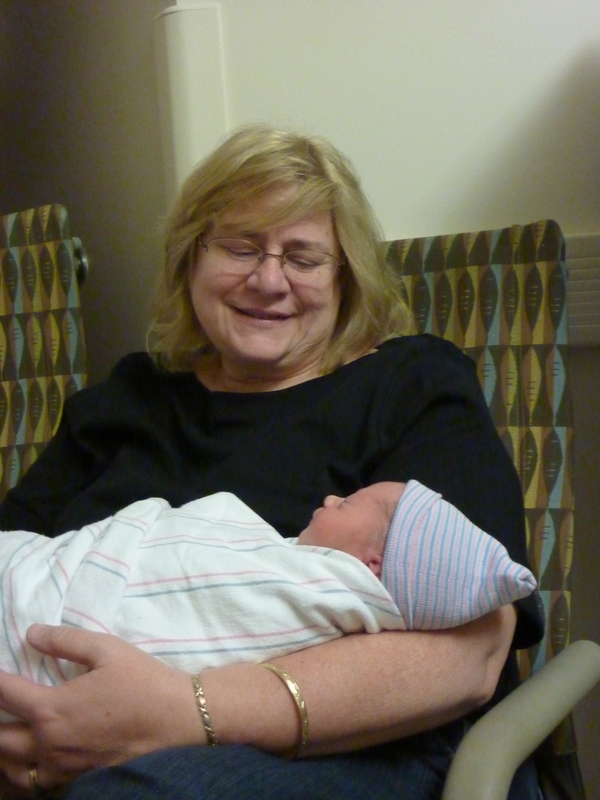 Looking forward to: Cuddling the baby. It still feels surreal that we have a baby coming in just a few weeks. You’d think the the constant need to visit the bathroom when I start walking for more than a block, or the serious baby wiggles and kicks that sometimes make my entire belly move would make it real – but I guess being pregnant has become my new norm because it still feels surreal! I hope that once baby arrives, being a family of 3 becomes the new norm just as quickly as pregnancy has become the norm. Lots of people keep asking if “we’re ready.” That is a great question and I really have no idea. Can you actually be ready for the arrival of a baby? I mean, aside from having some diapers, blankets and a crib for baby to sleep in…. At least we are well on our way to marking some of those things off our list! And I’m probably more ready to bring baby home than I am for delivering her! Maternity clothes? Yeah… I pretty much alternate between maternity clothes and yoga pants. Definitely a benefit of working from home! Best moment this week: Getting back into a good routine after the holidays was SO nice. Miss Anything? I miss my standard lunchtime workouts. I was having some pain in my side when doing the elliptical (my current workout of choice). The doctor told me it’s probably just because things are stretching and isn’t a major cause for concern, but I should try something that puts less pressure on me like the stationary bike or aqua aerobics. I am already bored with the bike and look forward to the day when I can do the elliptical again! Food cravings: Just my standard chocolate milk… I don’t think I’ve ever consumed so much milk in my life. I’m not typically much of a milk drinker. Anything making you queasy or sick: Definitely feeling queasy if my stomach gets too empty – I am getting better about remembering to have snacks because it is SO not worth the nausea. Have you started to show yet: More and more each week. Labor Signs: None for now. Belly Button in or out? Inching outward, but still in. Happy or Moody most of the time: Happy – with the exception of right now as our neighbor above us stomps around like crazy. I don’t know how it is possible for someone so small to make SO much racket! One person who probably weighs only 100 pounds sounds like a herd of elephants. I am not even kidding. Looking forward to: Meeting the baby! 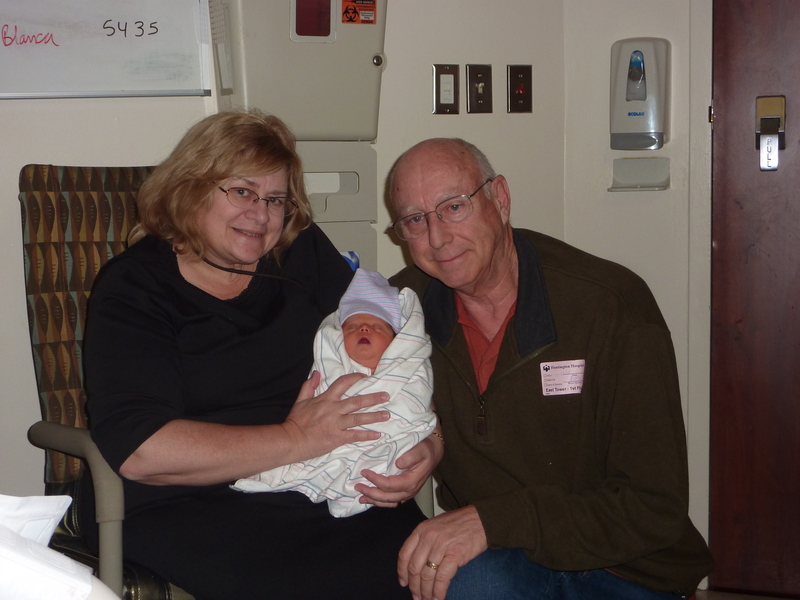 And I’m also looking forward to our infant care class coming up – I think it will at least give us a starting point for figuring out what we’re doing with a newborn! How far along? 33 weeks. Wow, time has flown by! And it has been an adventure savoring every moment as much as I can. 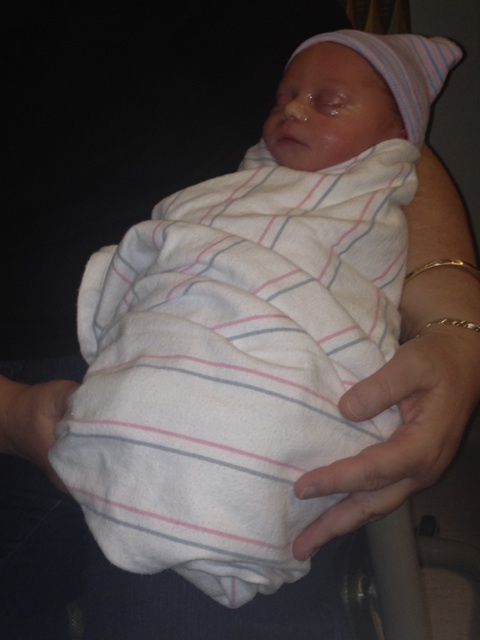 I am getting more and more excited to finally meet Baby Veltman! Total weight gain: Nothing this week. Sleep: It’s been on a sort of downward trend, but Ru did get a good night’s sleep Thursday night when she only had to get up in the night only twice. I feel bad for her knowing that’s a rarity and unlikely to happen again during this pregnancy. Best moment this week: With the start of the new school quarter, things have been hectic. But talking, reading to the baby, and spending time connecting before bed has been a real blessing! Food cravings: Chocolate milk. Previously, we only had to get milk once a week. Now it feels like every day we’re on the verge of running out! Same goes for the chocolate syrup! Anything making you queasy or sick: Well, the Baby’s pressure on Ru’s bladder certainly hasn’t been comfortable. Have you started to show yet: Yep, and it’s become even more obvious now as the baby continues to grow. Wedding rings on or off? On. I too hope she never has to take it off. Happy or Moody most of the time: Happy, although I’d certainly forgive any moodiness as a result of all the pressure on her bladder and the frequent bathroom trips as a result. Looking forward to: Meeting the baby! Getting so close, I feel like that’s pretty much the most exciting thing to look forward to at this point. 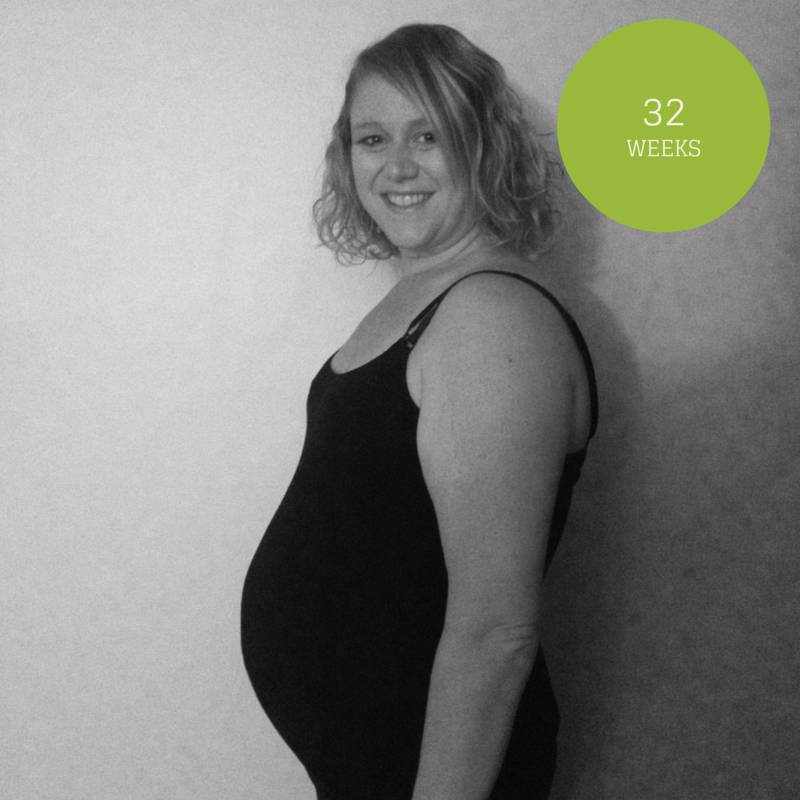 32 Weeks – Due NEXT MONTH! Happy New Year! It’s January (duh!) which means I’m due NEXT MONTH. I can hardly believe it! Total weight gain: I lost a little weight this week – probably because I’m feeling queasy again and I haven’t been on much a schedule and if I don’t feel hungry I don’t really think to eat. So we’re down to a total weight gain of 8 pounds again. But the belly continues to grow so I’m not overly concerned. Maternity clothes? Usually, though fortunately I can still squeeze into my workout clothes b/c they are stretchy and a couple of pairs of regular jeans that button below the belly. Sleep: Still interrupted by numerous bathroom breaks and weird, weird dreams, but sleeping ok overall, as long as Than doesn’t steal all the blankets! Brrr! Best moment this week: Getting the baby’s room very close to done and shopping for her outfit to come home in! She obviously needs to look cute for that 10 minute car ride home – hehe. Miss Anything? My energy. It’s gone…like completely zapped. This is like the 1st trimester all over again! Movement: Yep, and I think I can tell where certain body parts are sometimes (mainly her bum and feet). Anything making you queasy or sick: Pregnancy is making me a bit queasy in general, but nothing specific beyond that. Have you started to show yet: Yes indeed. Though this week’s picture might be a little deceiving – I’m not quite as big as I look in the photo… Haha. Belly Button in or out? In. I think I’m in the innie club FOREVER. Happy or Moody most of the time: A little of both I’d say. Looking forward to: Knocking things off my massive to-do list over the next few weeks – yes, the nesting has begun! How far along? 32 weeks. Yes, I’m sure I’m right this week as it was pointed out several times last week that I was “off” by a week. Sleep: Ok. The Snoogle helps, I’m sure. Best moment this week: Finishing up the Baby’s room. Miss Anything? Not that I’m aware of. Movement: Still moving around a lot. She’s quite active! Food cravings: With her parents here, we went to a lot of different places that should have filled any cravings she had. Labor Signs: No, just an occasional Braxton-Hicks. Total weight gain: Gained another pound or 2 this week – surprised it’s not more if you saw the number of cookies I’d eaten. Grand total – 11 pounds. Baby now weighs 3 1/2 pounds according to the most recent ultrasound! Sleep: So-so. Than is still jealous of how much room the Snugle takes up in the bed. Best moment this week: So many good ones – I can’t pick just one. We got the nursery set up, Christmas bonfire at the beach, and my parents got to go to my doctor appointment and see the baby via ultrasound. The doctor even did a 3d one for a couple minutes where we got to see a great close up of her chubby cheeks and squished little nose! Miss Anything? Nah, not really. Movement: Uh huh – a lot of movement these days. And I was right last week – all that movement was her turning. She’s now head down instead of breech – yay! Anything making you queasy or sick: Kind of like the 1st trimester, I get a little queasy if I go too long with out food. I don’t always feel hungry though so it hits me suddenly. 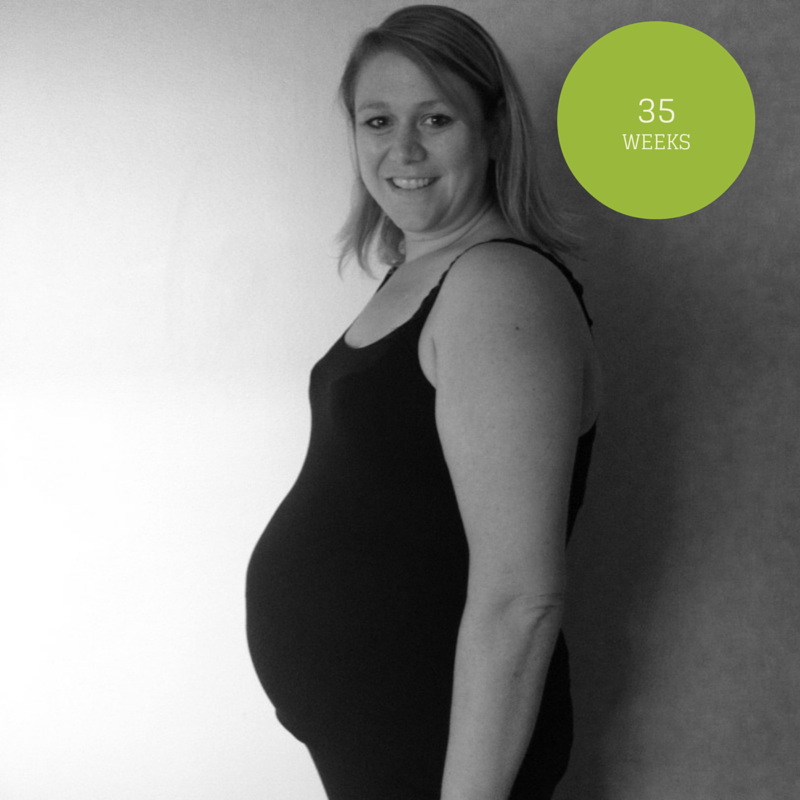 Have you started to show yet: Yep – I think my belly really popped when she turned last week. Wedding rings on or off? On. Hoping I don’t have to take them off! Happy or Moody most of the time: Overall happy – except when the house gets too messy! Looking forward to: Meeting baby girl! She will be here before we know it! 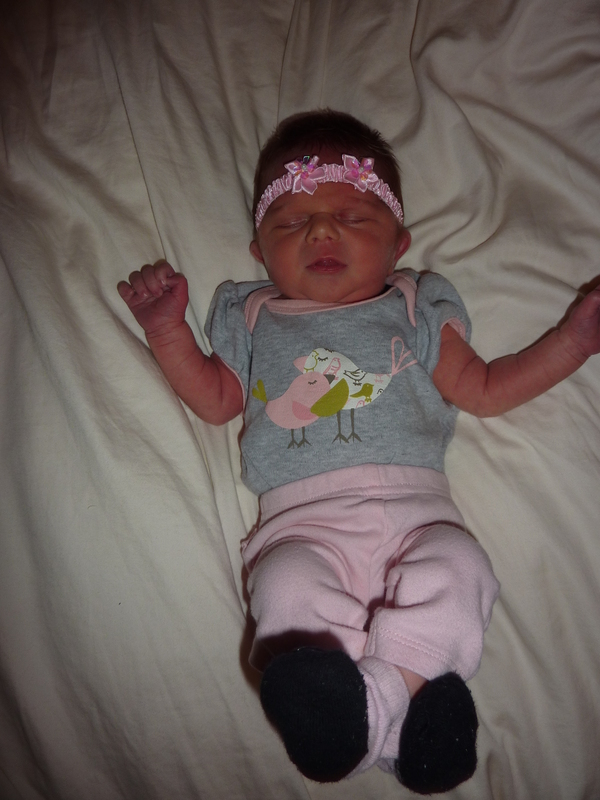 Total weight gain: It’s been a big week: we got a crib, plus a ton of baby clothes from Grandpa and Grandma Northcutt! Sleep: Been ok, probably because she is sleeping in the middle of the bed and pushing me off. 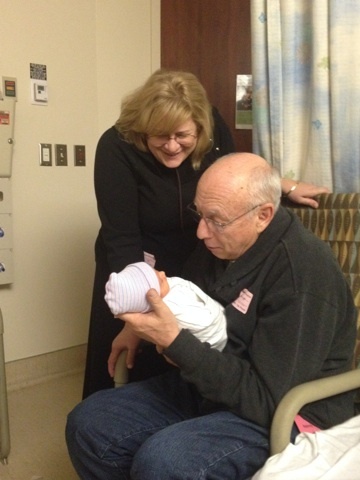 Best moment this week: Grandma Northcutt reading to the baby before bed and Grandpa Northcutt feeling the baby move. Food cravings: We’ve had a ton of treats so I’m sure she’s been craving a salad. Anything making you queasy or sick: Well, hopefully I won’t make her sick with my cold and/or cough. Looking forward to: Fully completing the Baby’s room. Almost there! Maternity clothes? Yep! Loving the maternity yoga pants. SO comfy. Sleep: Much better than last week! Miss Anything? I miss being able to roll over and move easily while I’m sleeping. It’s not too bad yet but if I roll too quickly I definitely feel it. 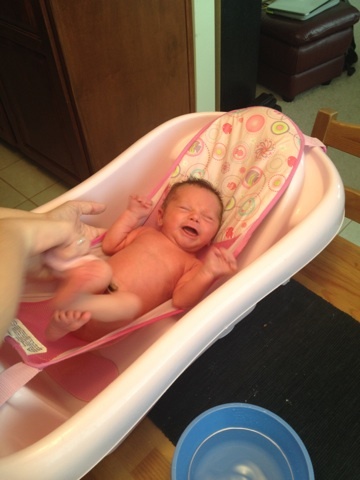 Movement: Her movements continue to get stronger – sometimes they startle me and make me jump! Food cravings: Peanut Butter and Banana Sandwiches, Ritz Crackers (sometimes with cheese), and I’m excited for Christmas treats like sugar cookies and caramel corn this week! Anything making you queasy or sick: A little queasiness on and off but not bad. Have you started to show yet: Yes, still showing. Popping out noticeably more as opposed to just growing this week. Belly Button in or out? Holding steady – in. Happy or Moody most of the time: Happy – and even happier now that I’m on vacation! Looking forward to: I guess I already covered this at the beginning but there’s plenty I’m looking forward to at the moment so I’ll add more. I am very excited to get everything ready for baby’s arrival and I can’t wait to see what she looks like and what her personality is like. I think she’s shy because when she’s moving and we touch my belly she usually stops. She’s either shy or a little stubborn – haha. Total weight gain: We held steady this week again. Maternity clothes? Yep, and still enjoying them. I’ve never seen her enjoy certain clothes so much before. Sleep: Well, apparently a Snoogle helps; and I’ve been on the losing end of hugs in the night as a result. 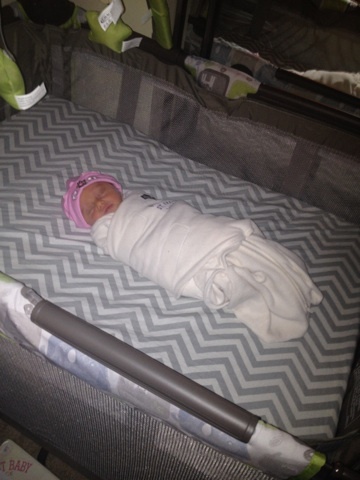 Not sure how I feel about that… As long as she sleeps well, I guess. Best moment this week: Hearing that a Chick-fil-A finally opened in Pasadena… Oh wait, this is supposed to be about the baby… Well, she’ll definitely benefit from it opening. Miss Anything? No. With my pre-bed relaxation massages, what is there to miss? Movement: Yep, lots of it! I love all the fist bumps! Food cravings: Well we bought a ton of bananas this week and it wasn’t at the top of MY list. Have you started to show yet: Yes. It seems she’s really “popped” this week. 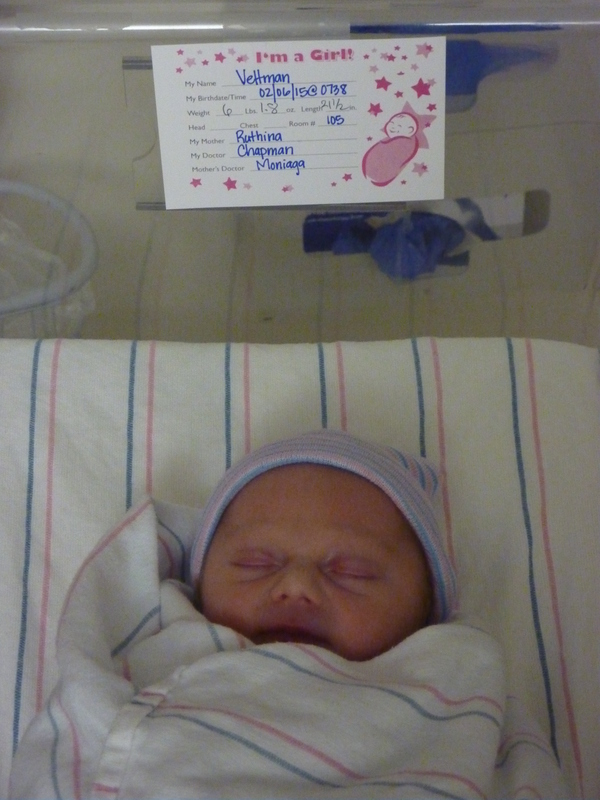 Labor Signs: No, but thanks to birthing class this week I know how to help her through them. Happy or Moody most of the time: Happy. Again, pre-bed relaxation massages…. Total weight gain: Somewhere between 5-7 pounds. It fluctuates from day to day enough that it’s hard to say. And my scale reads higher than the doctor’s office so who knows! Maternity clothes? Yep – so so comfy! Sleep: Sleep has gone downhill drastically this week. I pretty much wake up every hour through the night (oddly enough, it’s at the same times every night – 12:40, 1:40, 2:40, etc.). I don’t feel uncomfortable or anything, I’m just awake. Pregnancy insomnia I suppose. I might need to get out some of Than’s books to start reading in the night to put me back to sleep! We also got a “Snoogle” yesterday – a body pillow for pregnant women. We’ll see if it helps! Best moment this week: I have two. Surprise baby shower last Sunday from some of the volunteers at the Community Meal and Childbirth Class – Pt 1 was surprisingly helpful and not too scary! Miss Anything? I miss sleeping through the night and being able to lick cookie dough off the spoon/beaters when making cookies. Movement: This week I am hoping all the crazy movements in there is the baby turning, as she’s still breech (or at least that was the status at my last appointment). It’s also very fun to watch her move – she looks like she’s doing the worm in there sometimes! Anything making you queasy or sick: Nothing specific, but I was feeling queasy a few times this week. 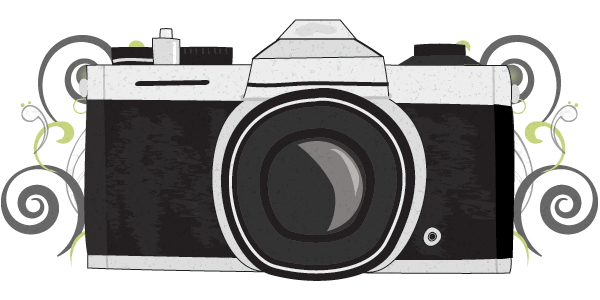 Have you started to show yet: Uh huh! Labor Signs: I now have an app on my phone to track my contractions for when I do go into labor! And now I know WAY more about labor than I ever did before, thanks to the childbirth class! Also, I had my first Braxton Hicks contraction this week (I think). Wedding rings on or off? On – just a little snug after working out. Happy or Moody most of the time: Overall happy. Looking forward to: Grandma and Grandpa’s Arrival for Christmas in 1 week, spending some of my time off at Christmas getting ready for baby’s arrival, a break from work, Christmas festivities…Are you sensing a theme?! I’ve added my own category here for a little extra update. Confession: The glucose test wasn’t bad at all. In fact, the drink was maybe kinda sorta good… This pregnancy has definitely given me a sweet tooth! Fortunately I passed the test with no problems at all! How far along? 29 weeks. Total weight gain: Thanks to the generosity of some friends at a surprise baby shower, we’ve collect a few more clothing and other essential items. Maternity clothes? Yep, and she’s enjoying it too! Sleep: Not so great this week. It sounds like it’s time to break out my secret weapon: the pre-bedtime relaxation massage! 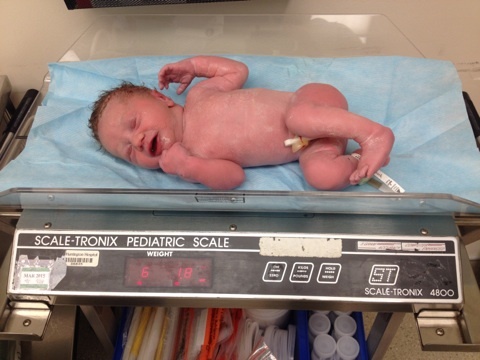 Best moment this week: Perhaps not the most exciting, but birthing class definitely made things real. Miss Anything? Probably a good night’s sleep. Sorry, Ru! Movement: Yep, lots of it! We’re hoping the baby has been turning into the right position (she’s been in breach for a while). Food cravings: She mentioned bananas the other day, but chocolate has been a good “antidote”. 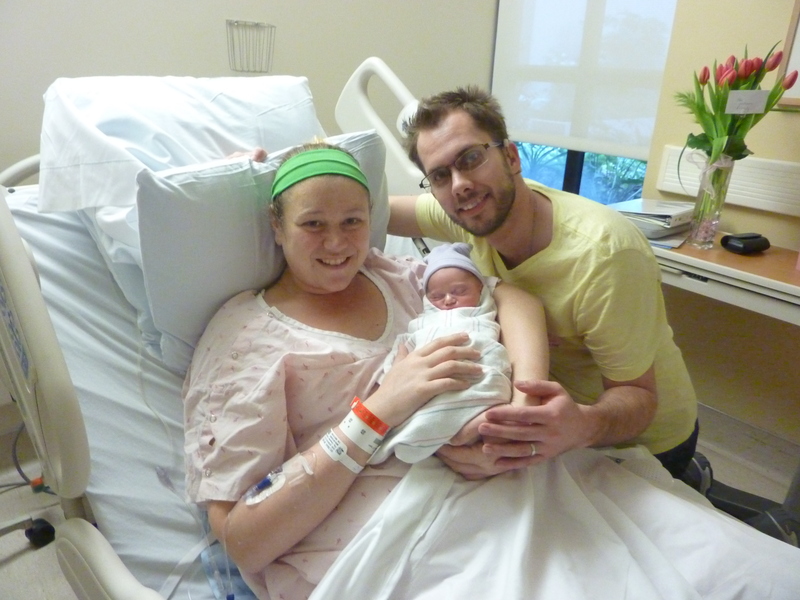 Anything making you queasy or sick: Well, let’s just say some of the video footage of a birth at the birthing class didn’t sit well with her. I was fine, by the way. Gender: Still a girl. Is it really likely to change? Labor Signs: No, but I now know what these signs are thanks to the birthing class! 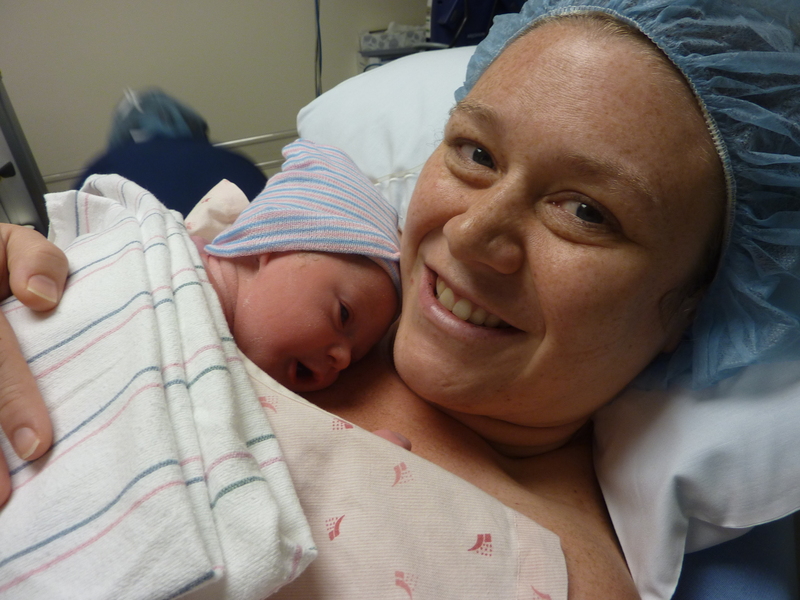 Looking forward to: The next birthing class, as it includes a tour of the hospital. I’m just super curious about a lot of things! 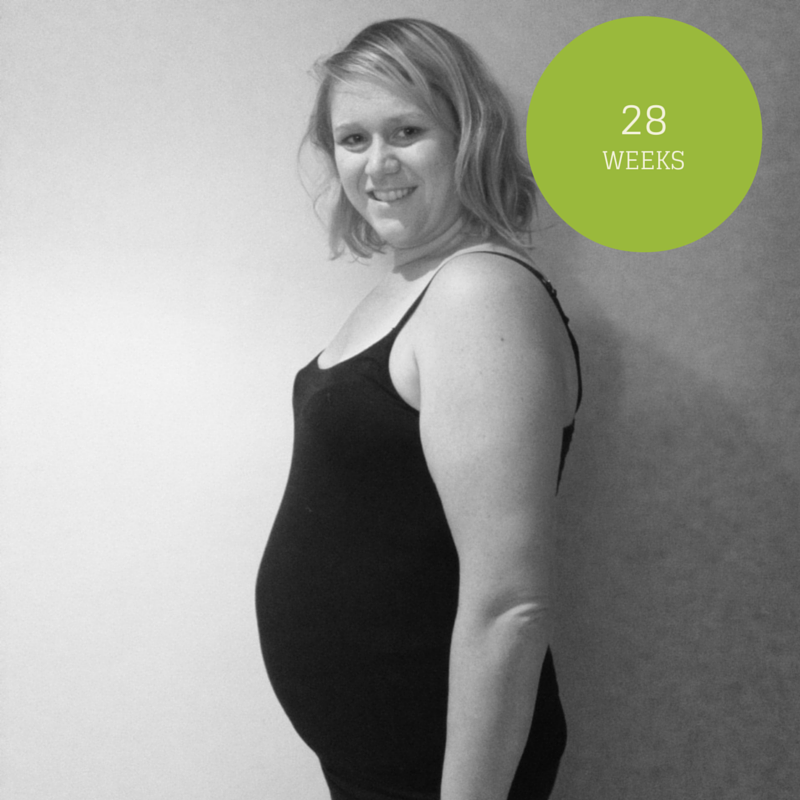 Hello 3rd Trimester – 28 Weeks! I can’t believe I’m in my 3rd trimester. 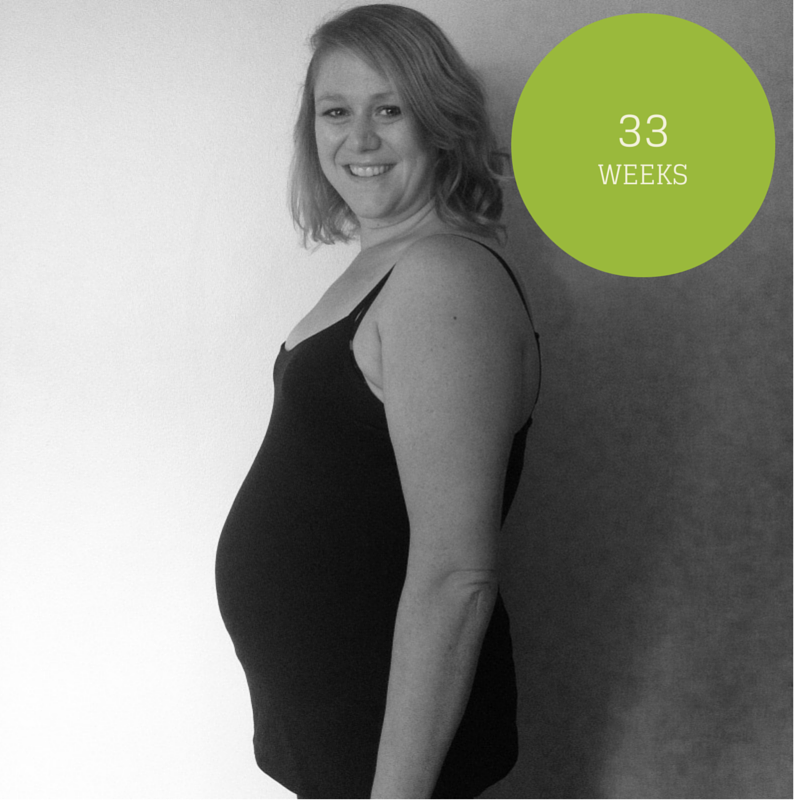 12 weeks to my due date – wow. I hear the 3rd trimester gets pretty uncomfortable but I’ll enjoy every comfortable week I can in the meantime! Total weight gain: 7-8 pounds. Pretty sure I’ve gained a couple of pounds each week for the last 2 weeks. I knew that very slow gain wouldn’t last forever…I think I am making up for lost time. Maternity clothes? Yep. Thankfully I can still fit into a couple of regular pairs of jeans when all my maternity ones are in the laundry/still drying (like today). Sleep: Pretty good this week with the exception of last night’s dream about getting attacked by a rabid raccoon. Best moment this week: Our trip to San Francisco was definitely a highlight – such a great time. Also now finally having a legit baby bump is fun! Miss Anything? Not that I can think of, but I try not to think about it for too long. I mean, who wants to dwell on things they miss anyway?! Movement: Baby long legs is still moving around like crazy in there. I think I’m getting used to the movement so I’m not quite as aware of every move. I’m more likely to notice if she hasn’t been moving! She certainly makes her presence known when she sits on my bladder. Food cravings: Still loving chocolate – specifically Kit Kats, Chocolate Milk and Nutella. Have you started to show yet: Yes, quite the bump now! It’s grown significantly in the past week. Gender: Girl. I’m with Than – this question is getting a bit repetitive. Labor Signs: No, but I’m guessing we’ll learn all about labor signs this week at our first childbirth class. Wedding rings on or off? On – though my toes are getting a little swollen sometimes so hopefully that doesn’t move to my fingers. Looking forward to: Getting my glucose test over with next week, watching Christmas movies, 2 weeks left of work until 2015, growing excitement about meeting our little girl! Total weight gain: A couple pair of pants that Ruthina loved; I loved that they were on clearance! Maternity clothes? Yep, the transition is almost complete. Sleep: Better now than it will be when the baby is born. Gotta enjoy it while it lasts! Best moment this week: Sharing the fun of San Fran with the baby. She likes to travel, just like us, I know it! Miss Anything? Other than the standard “regular sleep” and “less bathroom breaks”, not much. Which reminds me, I totally need to patent my idea for an app that helps people find bathrooms; kind of like a Google maps for public/accessible bathrooms. We so could have used this in San Fran! Movement: Yep. The Dr. said she has long legs so I totally get what she’s doing now; I would want to stretch my legs in such a cramped space too! And this also confirms, again, that she’s got the Dutch genes. Have you started to show yet: Yes, although not as much as some people do at this stage. But the Dr. said the baby is average weight and growth so I’m not concerned. Belly Button in or out? Still in. It now serves as a “telephone” for my conversations with the baby. Looking forward to: Well, I’m looking forward to seeing how Ru handles the glucose test on Monday…. Let’s just say I’ve heard stories!